A great poetry accompanies the Sicilian cinema, with the face of Massimo Troisi, an Italian actor who died long ago, who plays in Il Postino (1994, directed by Michael Radford) . 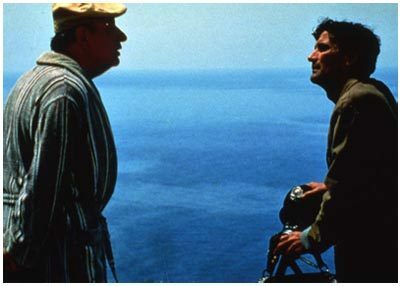 The movies tells the story of a postman who delivers letters to the Chilean poet Pablo Neruda in exile in Salina, an island off the archipelago of the Aeolian Islands, off the coast of Messina. The film won the Academy Award in 1996 for its soundtrack signed by Luis Bacalov and Blanche Dubois, and earned Troisi a nomination for Best Actor. The film, has won many appreciations in the movie business. Sean Connery called it "the most 'beautiful film I've ever seen."